Custom built Salt water tank! More then $12,000.00 invested in this set up. 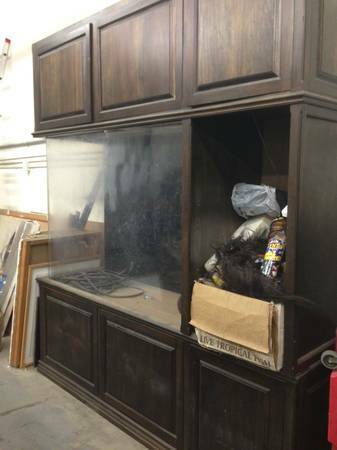 Custom cabinet built around the tank. Lighting in the shelf’s, a must see tank! !